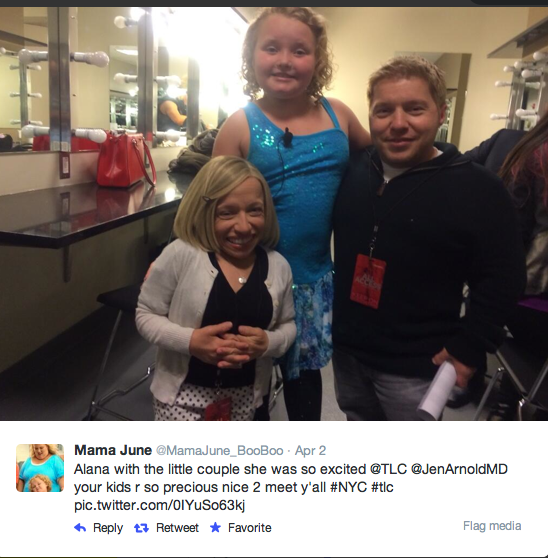 exposarazzi: Honey Boo Boo towers over TLC's The Little Couple! Honey Boo Boo towers over TLC's The Little Couple! SNEAK PEEK: LeAnn Rimes' new Christmas album!! LeAnn Rimes shows off her "puffy shirt"
Eddie Cibrian is a "Sleezy Rider"
Comment of the day: "What eyes?" BIG FOOT spotted in Mojave Desert!